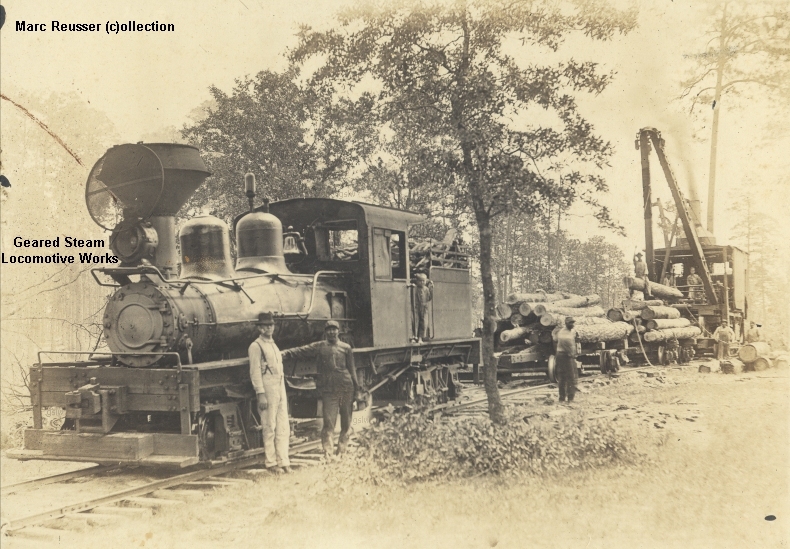 The locomotive operated near Phelps, Wisconsin. 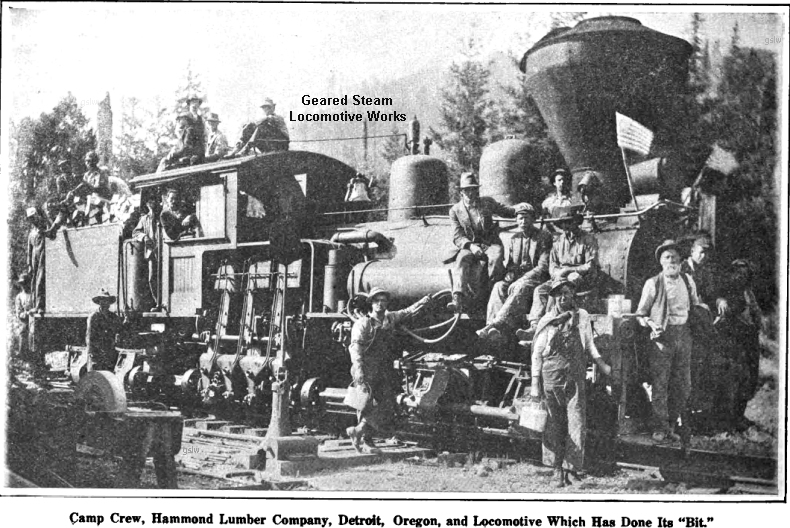 The locomotive operated at the company's Mill City, Oregon location. 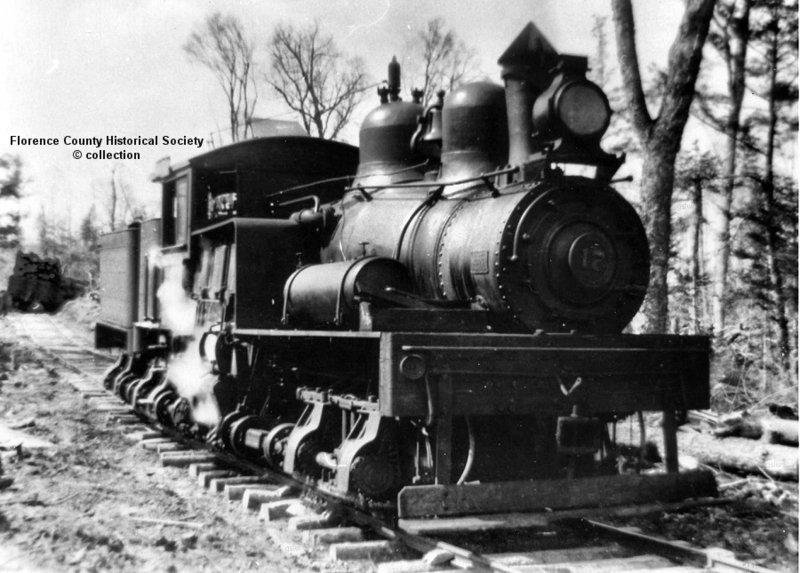 Hardwick & Woodbury Railroad #2 - s/n 627 - named "John S. Holden"
The locomotive operated near Hardwick, Vermont..
Hardwick & Woodbury Railroad #3 - s/n 2113 - named "Charles W. Leonard". 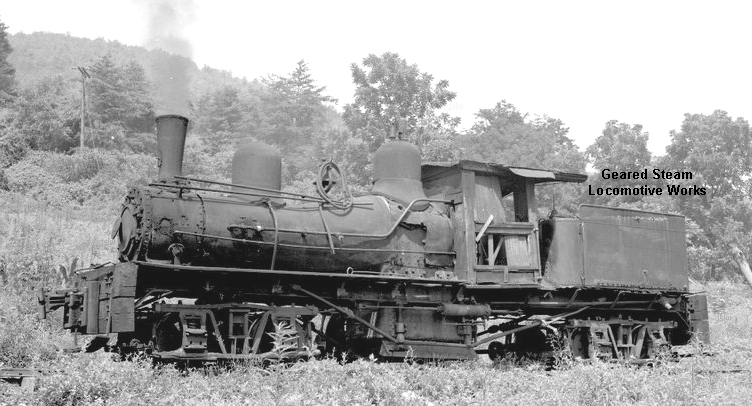 The locomotive, owned by the Hardwick & Woodbury Railway Co., operated near Hardwick, Vermont. 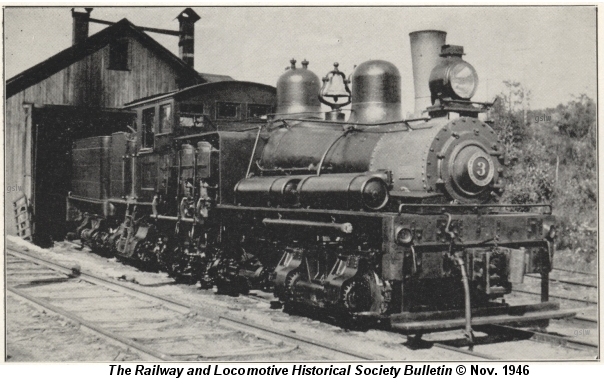 The photo was published in the November, 1946 edition of "The Railway and Locomotive Historical Society Bulletin". 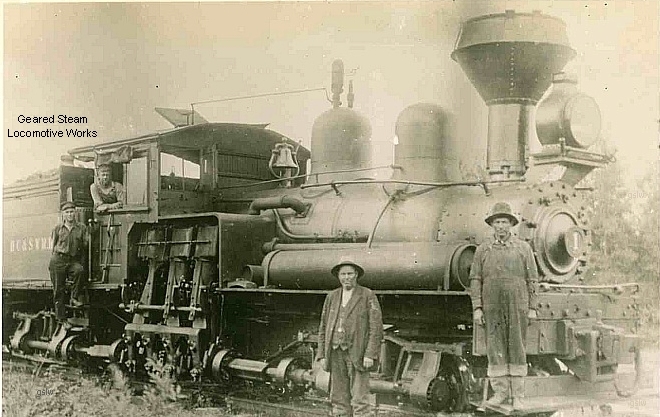 The locomotive operated on the company's White Top Railway. 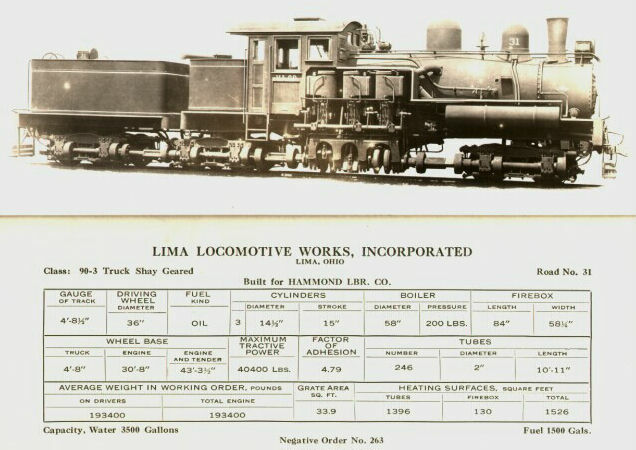 It was the smallest 4 truck Shay built by Lima. 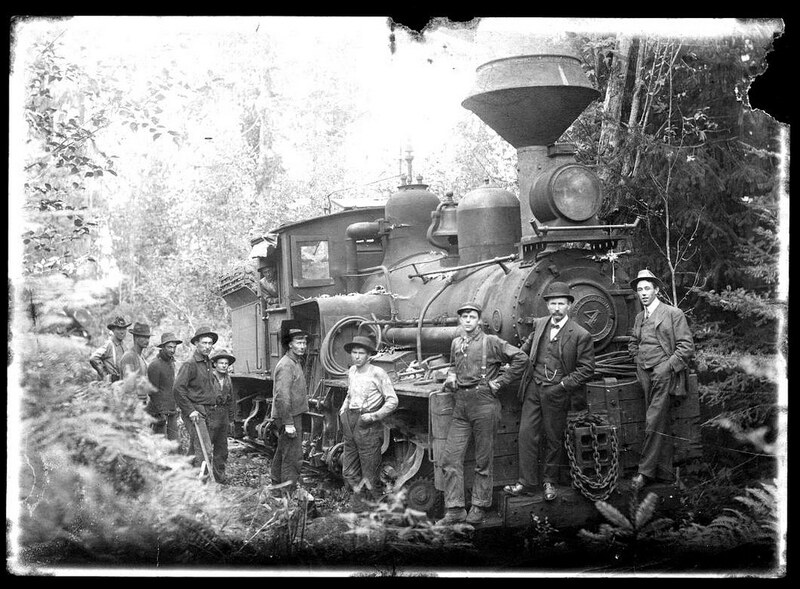 Photo posting permission was granted by the Allen County Historical Society courtesy of Dan Rowe. 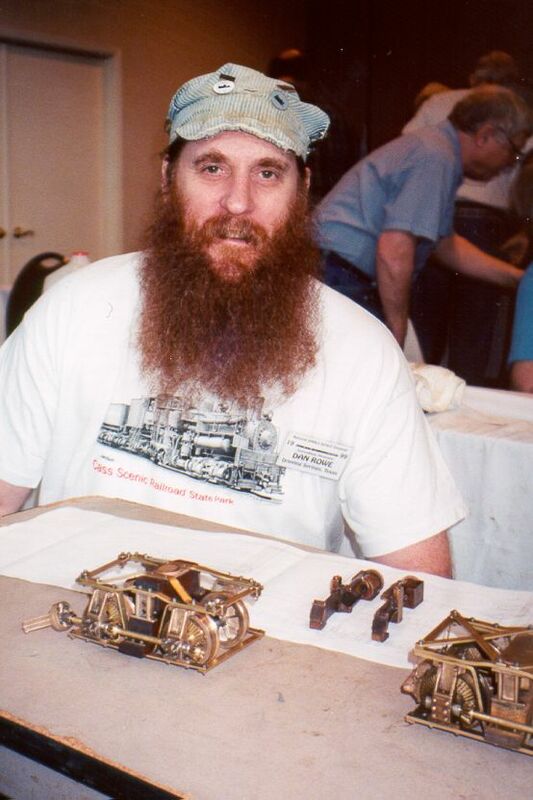 Dan also supplied all the information. 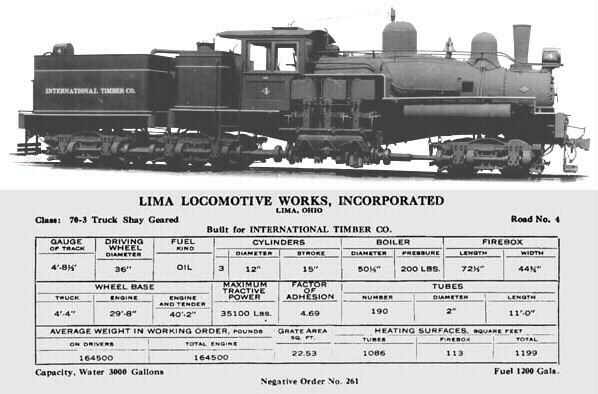 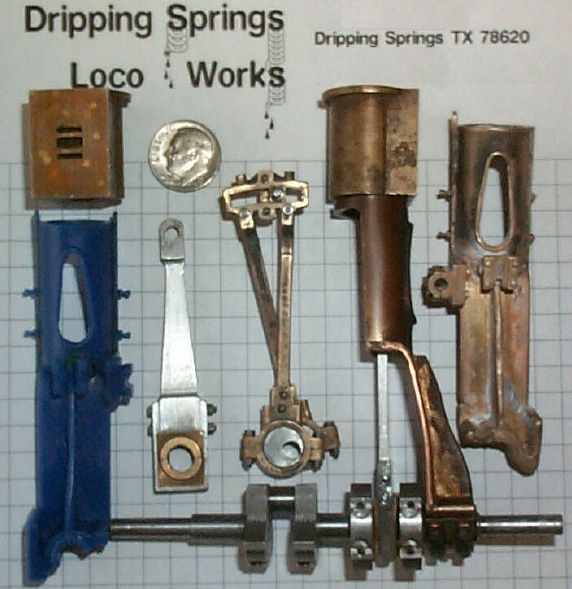 The locomotive as pictured is 36" gauge. 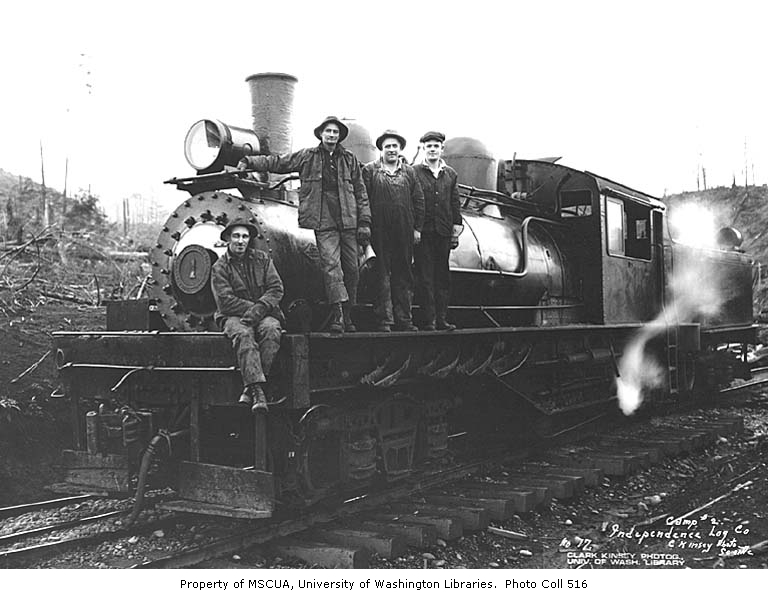 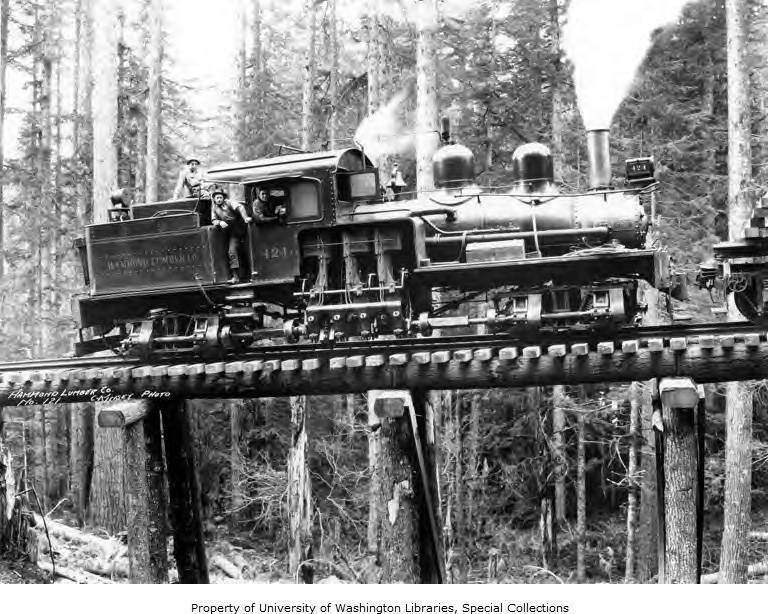 The locomotive operated near Union, Washington. 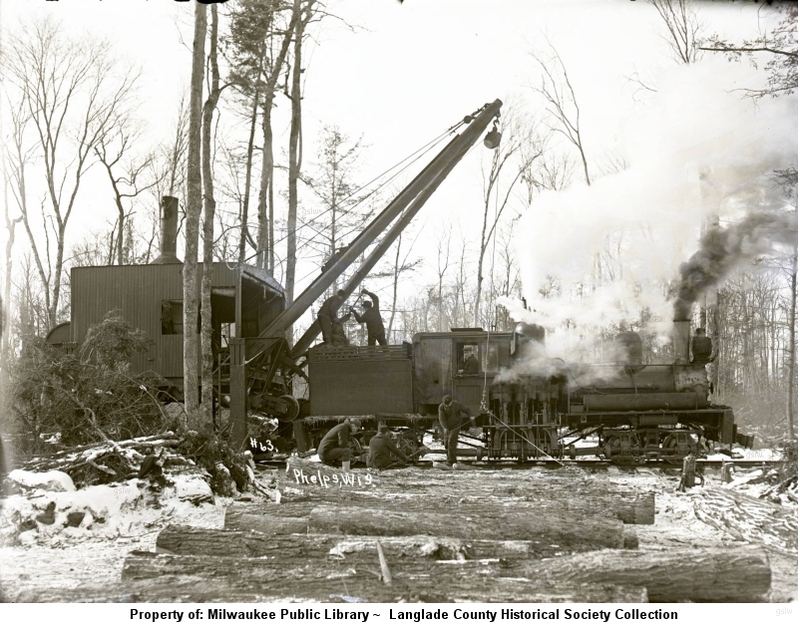 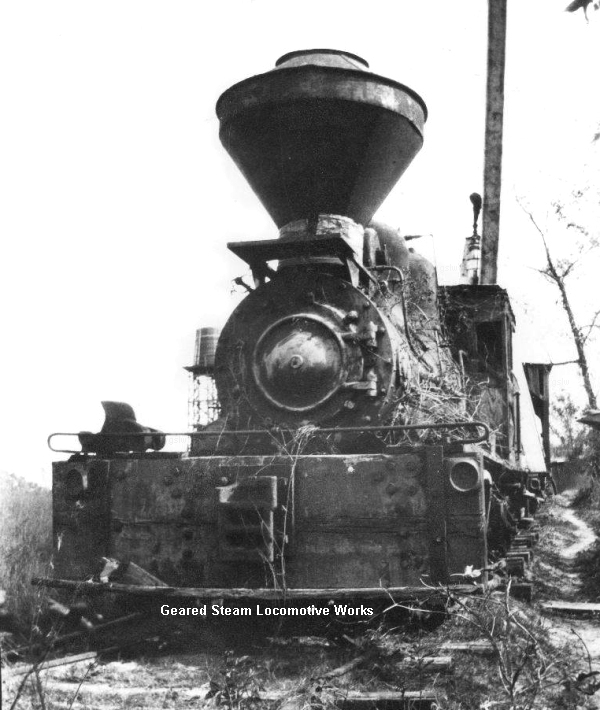 The locomotive was used near the company's LAnse, Michigan. 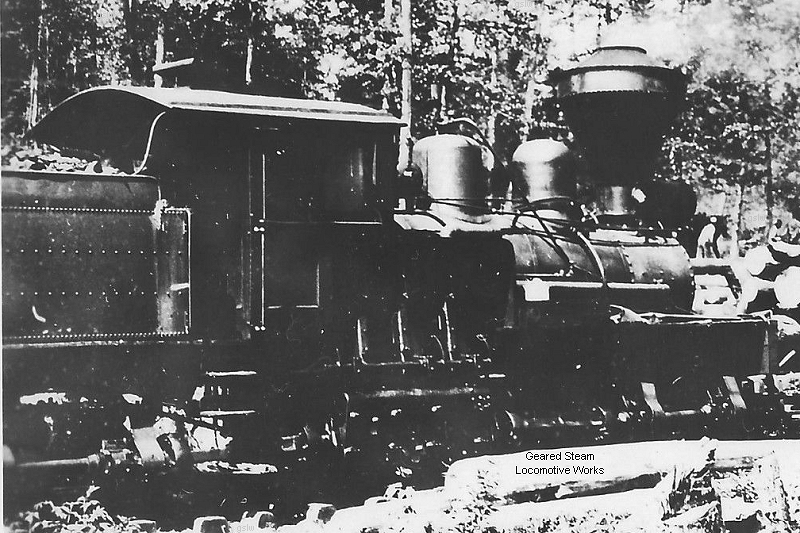 The locomotive, owned by the Chicago Mill & Lumber Co., operated near Helena, Arkansas. 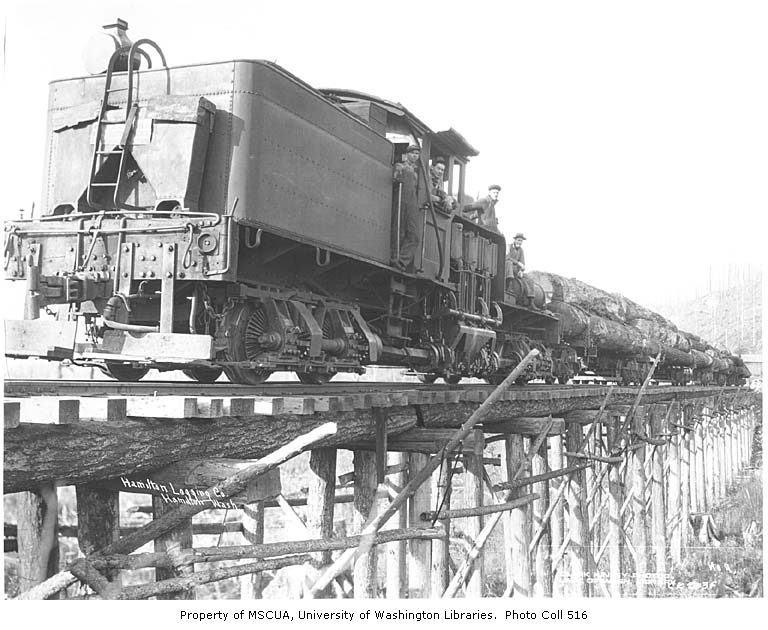 Photo courtesy of the Marc Reusser collection. 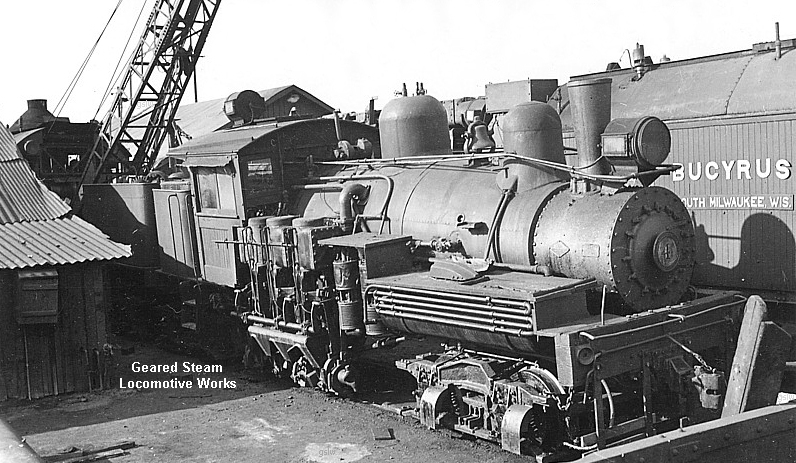 Identification courtesy of the Shaylocomotives.com staff. 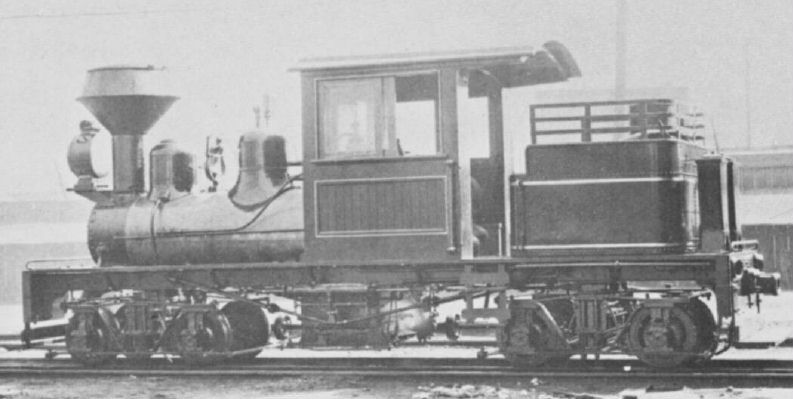 The locomotive, owned by Wheeler & Dusenberry, operated near Endeavor, Pennsylvania. 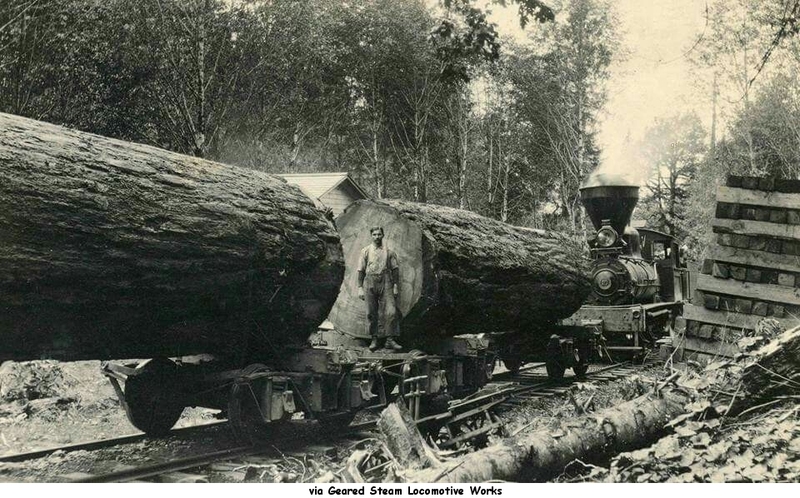 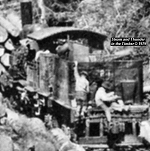 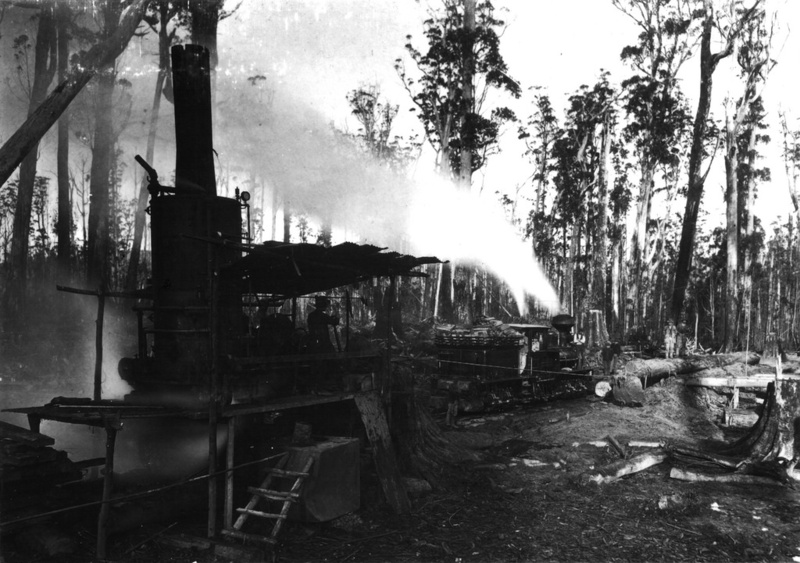 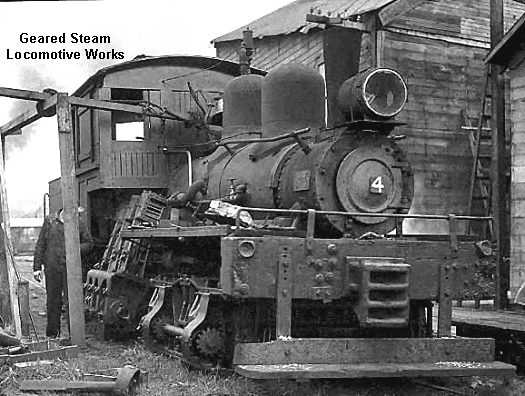 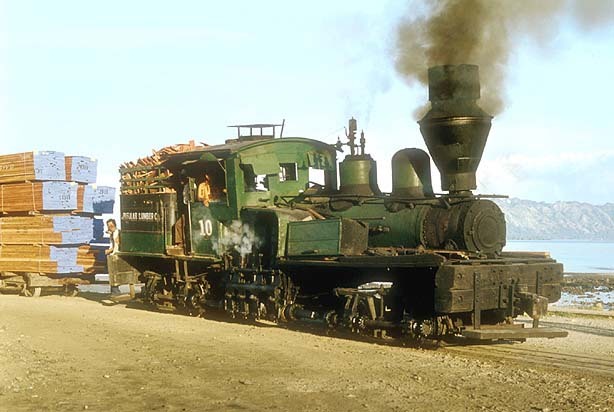 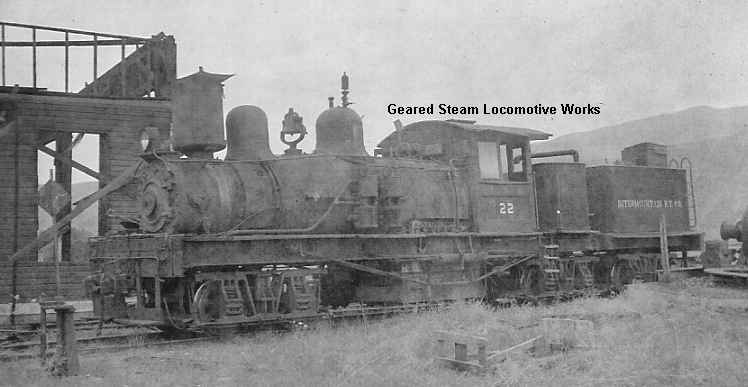 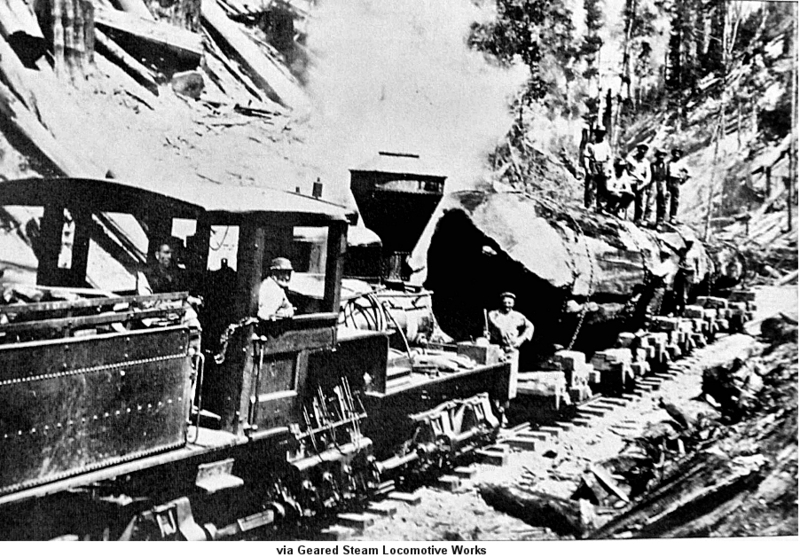 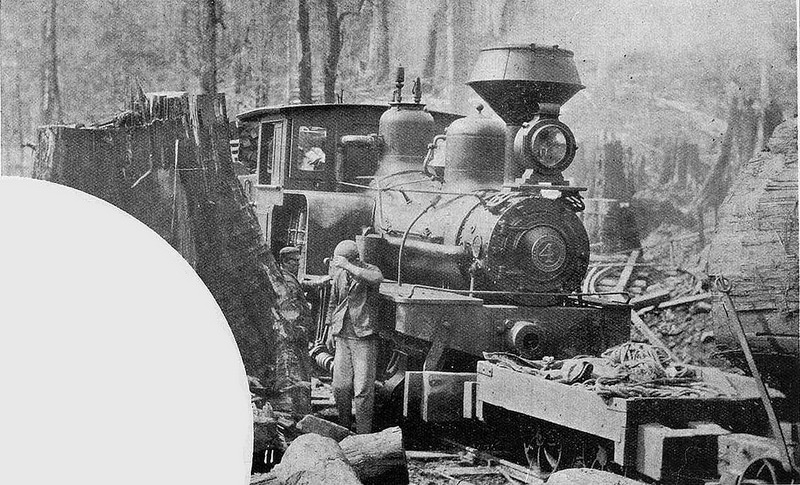 The locomotive was operated by its subsidiary, Sierra Nevada & Woodland Lumber Co, near Hobart Mills, California. 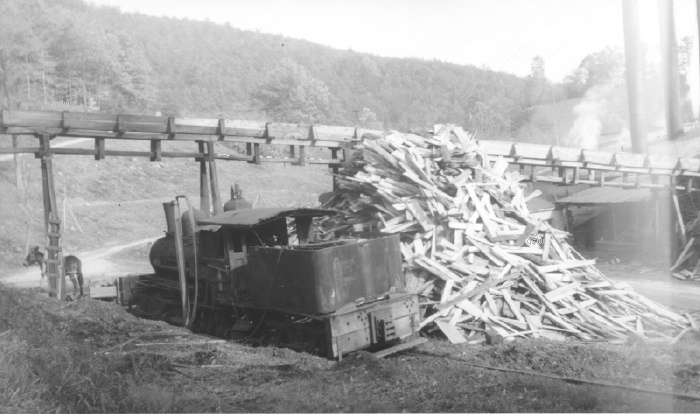 Although undisclosed with the related information of this photo, the "scrap dealer" was likely the Hyman-Michaels Co. 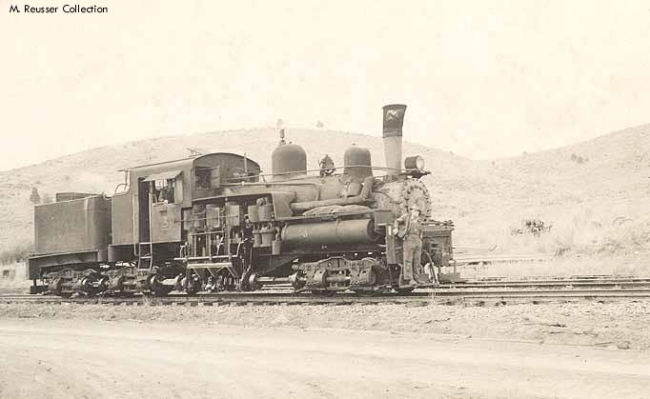 The locomotive operated near Crecent City, California. 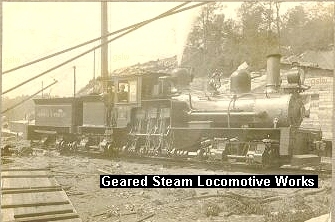 It was the company's 2nd locomotive with the road number #1. 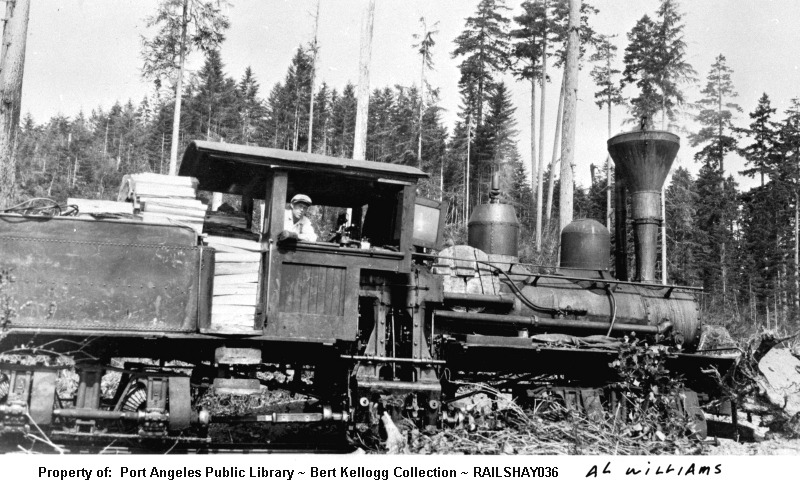 The locomotive operated near Grays River, Washington. 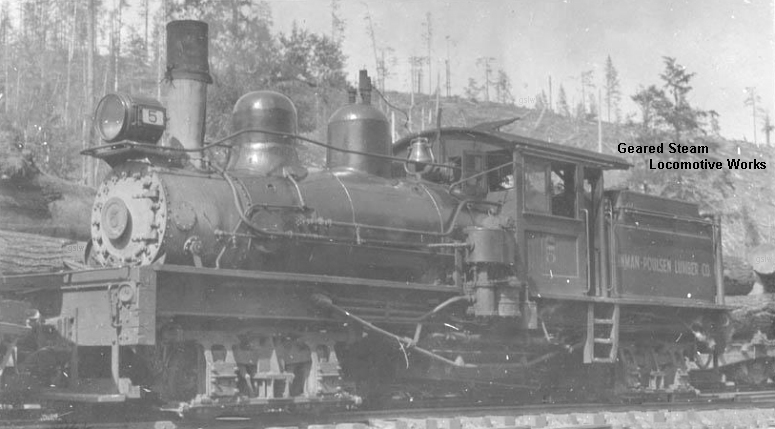 It was the first of two Shays to carry the #10 road number for the company. 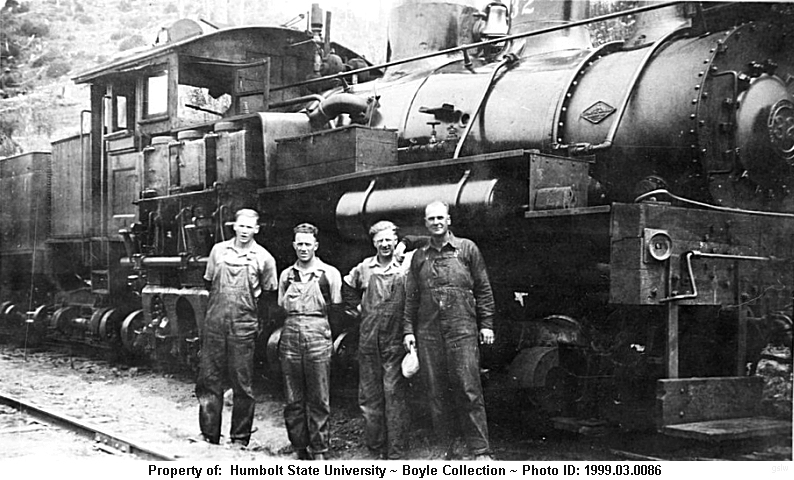 Holbrook, Cabot & Rollins Corp. - s/n 2214 ~ at right in expanded photo. 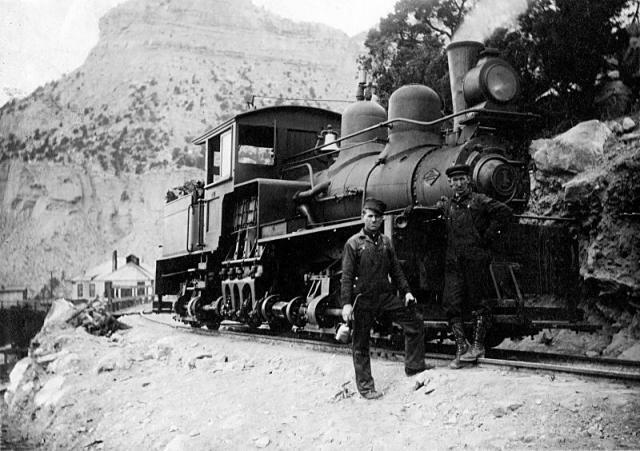 The photo is part of Record Group #181 at the U. S. National Archives. 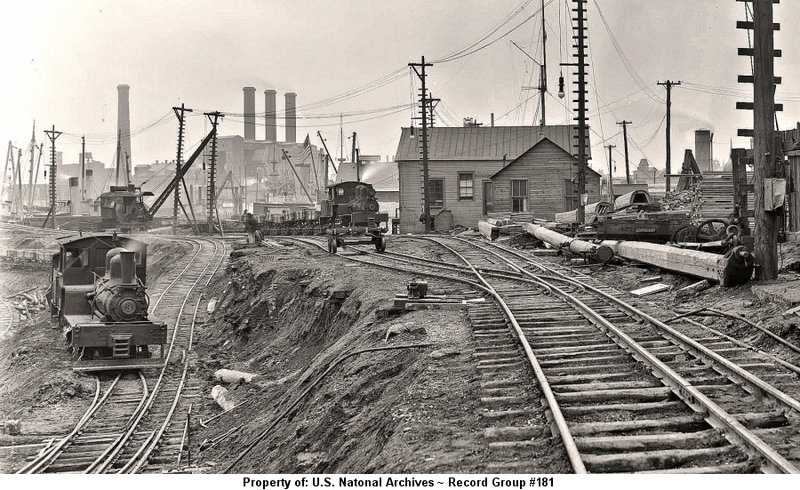 It was taken at Dry Dock #4 of the U. S. Navy Yard in Brooklyn, New York on February 27, 1910 during the Dock's construction. 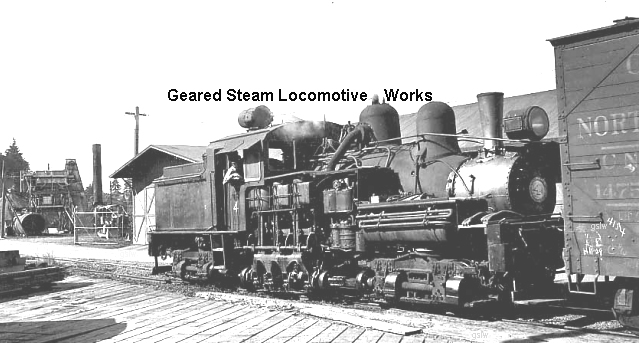 Holbrook, Cabot & Rollins Corp. #3 - s/n 2259 ~ at left in expanded photo. 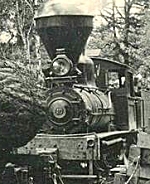 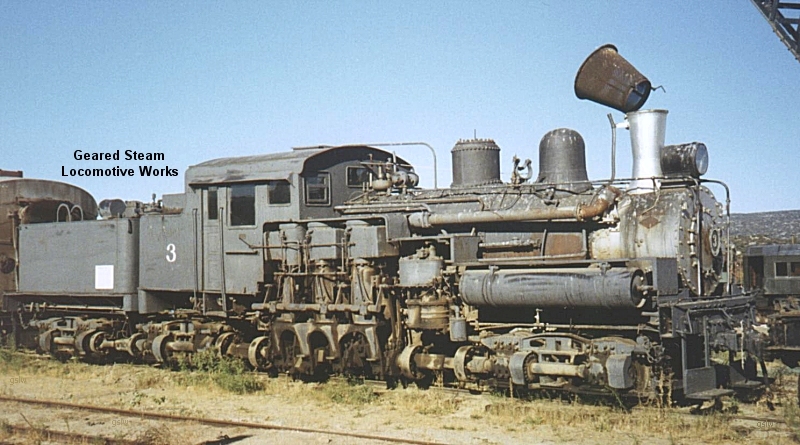 The locomotive operated at the company's Carlotta, California location. 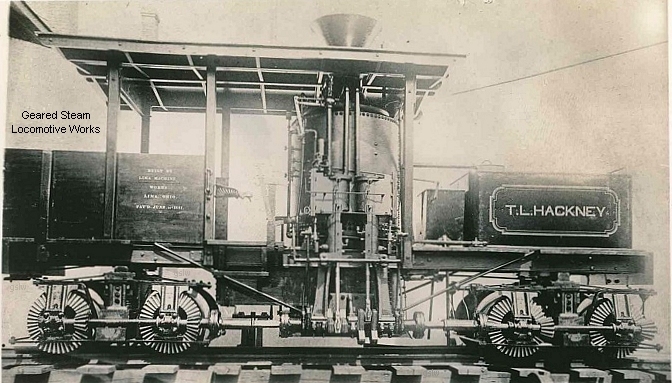 The locomotive operated at the company's Bude, Mississippi location. 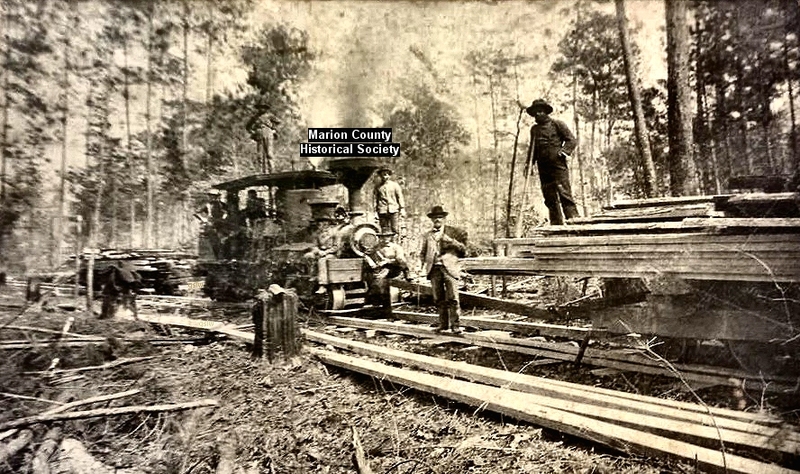 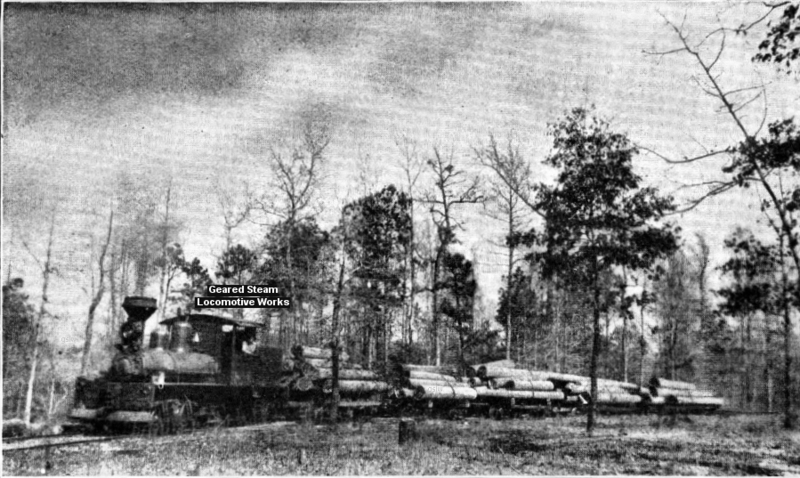 The locomotive operated near Bude, Mississippi. 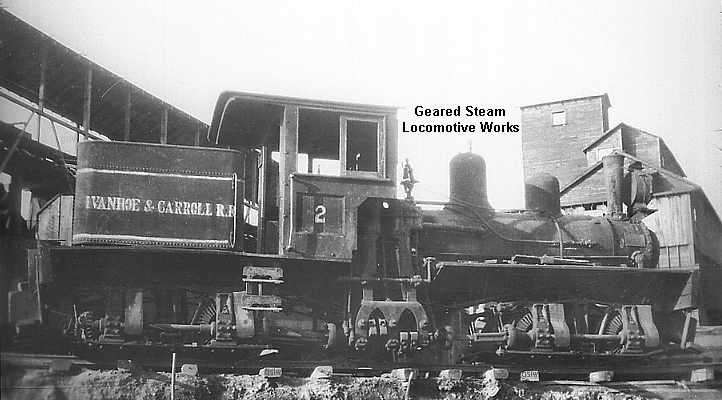 It started service with the company as road #3 before becoming #23. 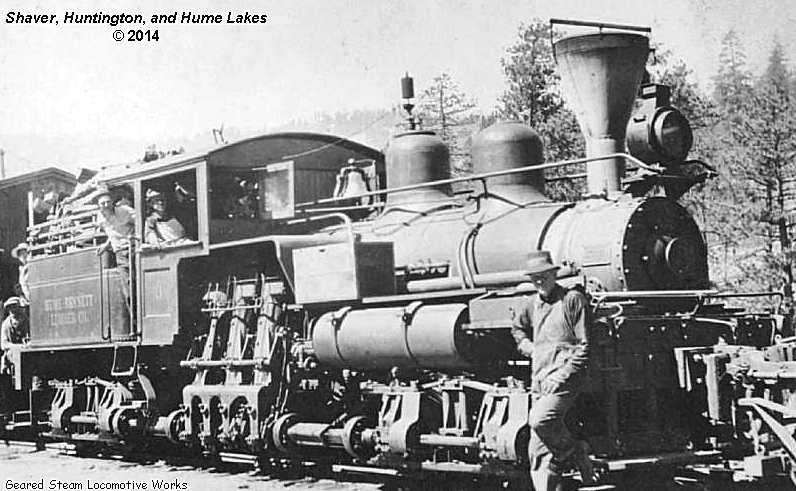 Built 07/14/1923 - Std. 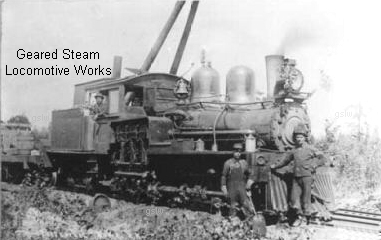 gauge - 14½" x 15" cylinders - 36" drivers - 90 tons - 3 trucks. 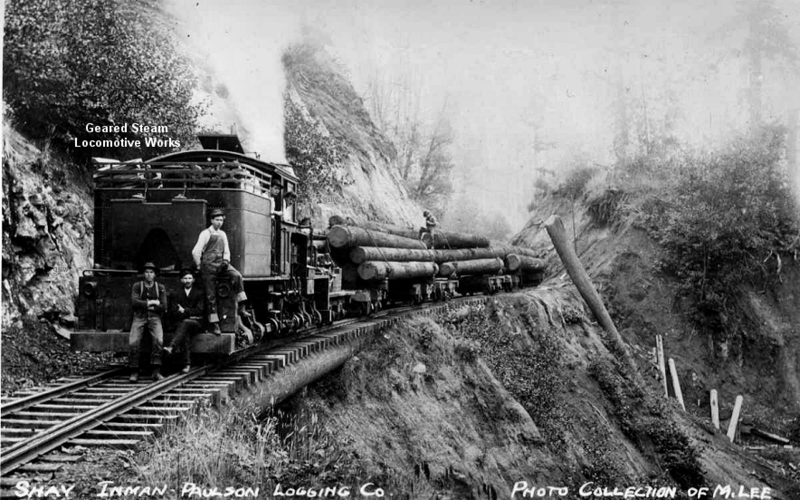 The company's base of operations was Independence, Washington. 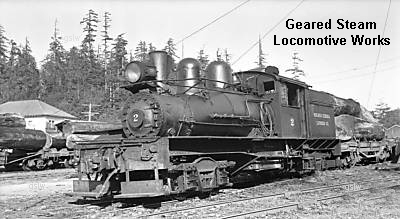 The locomotive was regauged to standard and renumbered to #805 from #5 before relocating to the company's Keasey location from Eufala, WA. 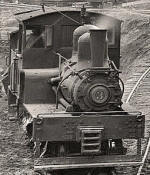 The photo is from the "Railphotolibrary.com" Flickr account. 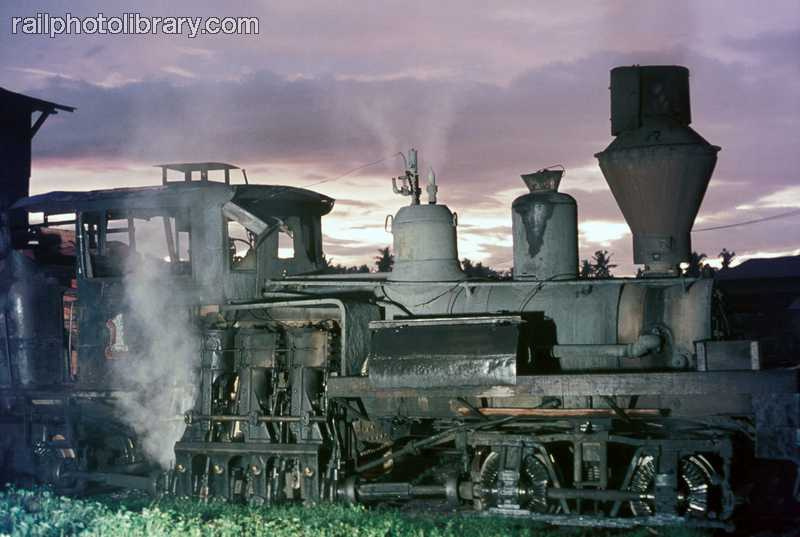 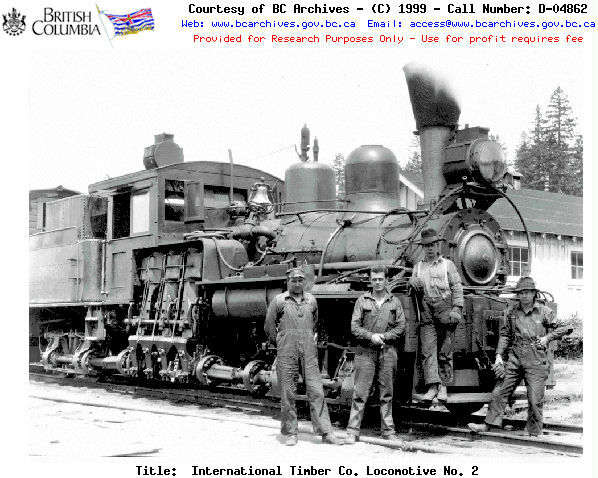 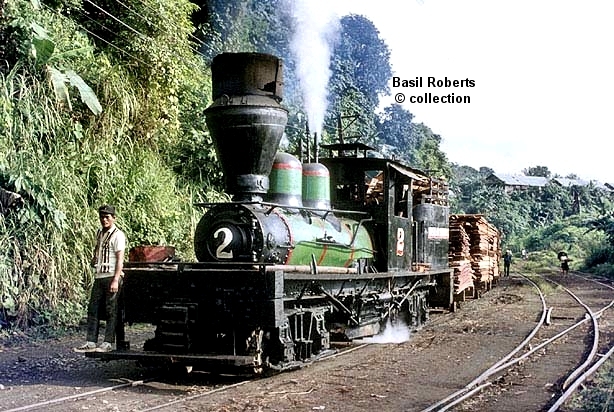 The photo is from the Basil Roberts collection via "The International Steam Pages" website. 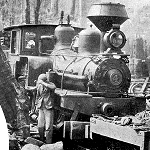 The company changed the gauge to 42" (shown) upon its acquisition from the previous owner. 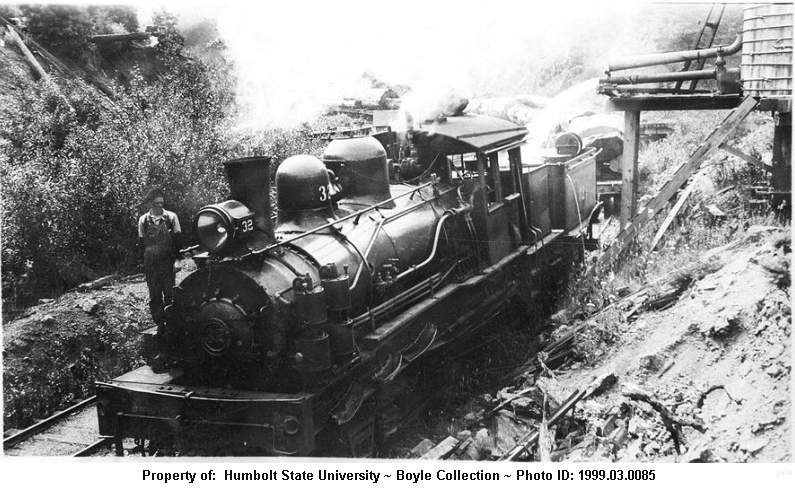 The railway was owned by the Boise-Payette Lumber Co. 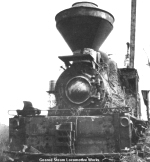 The railroad's parent company was the Ivanhoe Furnace Co. 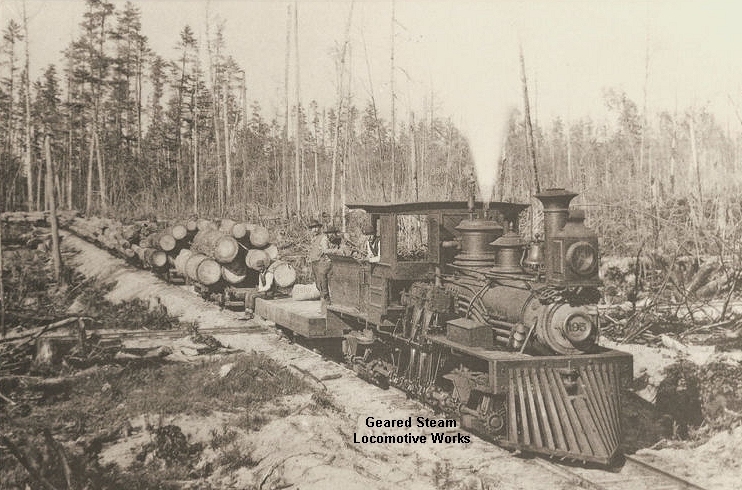 The locomotive operated at it's parent company's (Mitchell Brothers), Jennings, Michigan location. 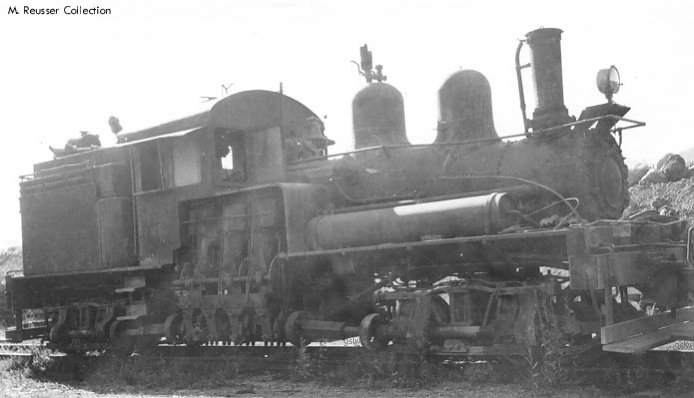 The railroad's parent company was Mitchell Brothers. 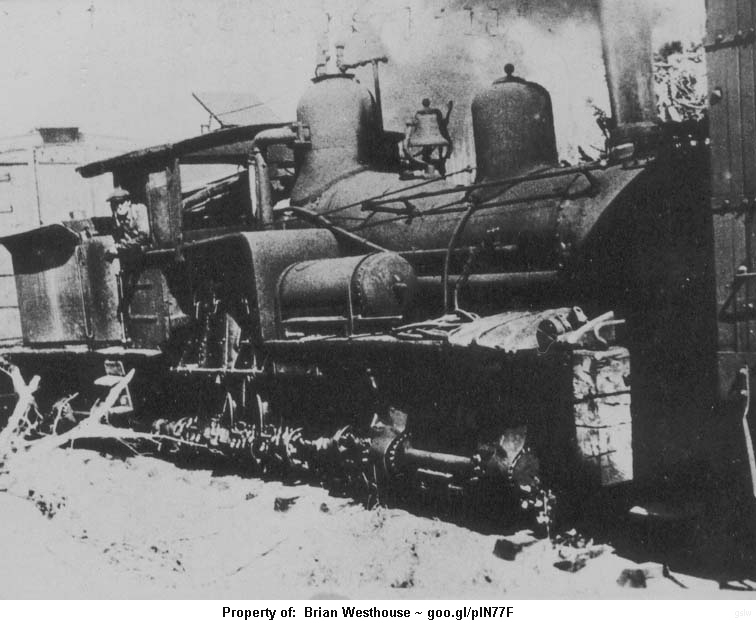 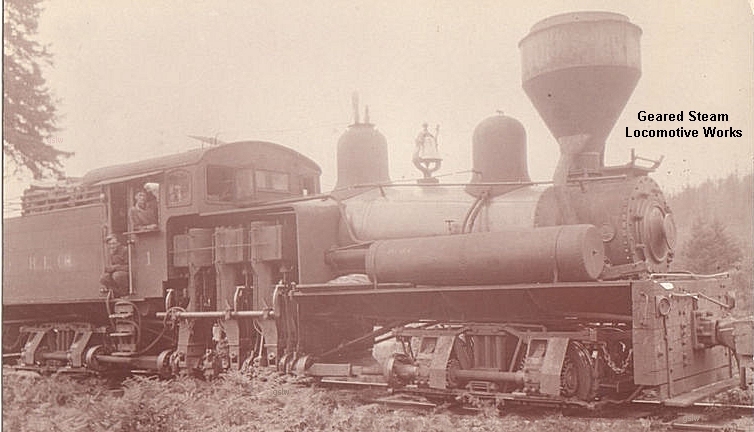 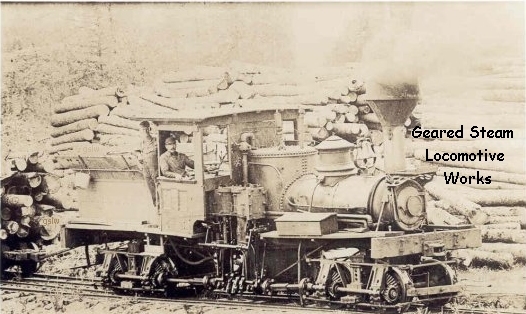 The locomotive operated near the company's Robe, Washington location. 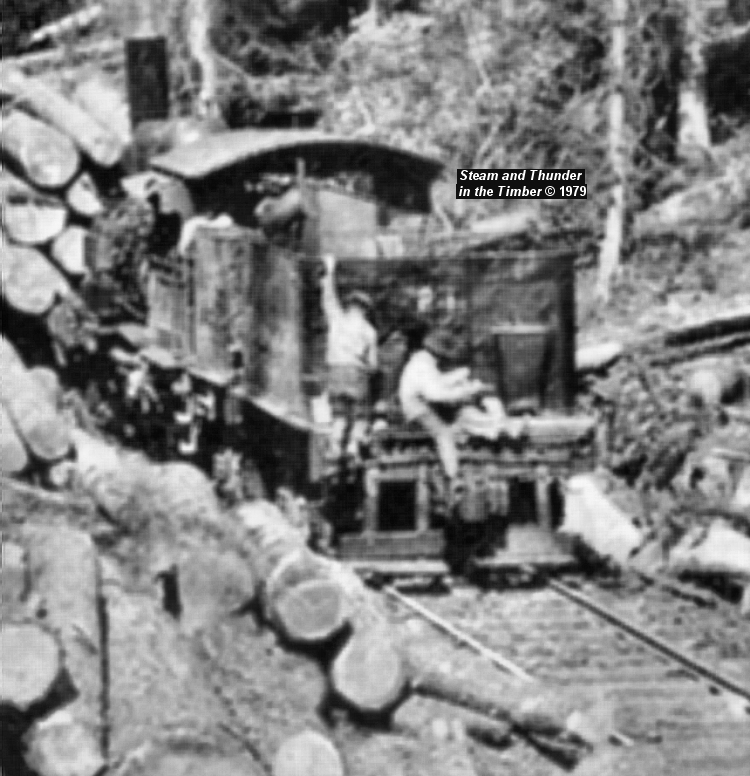 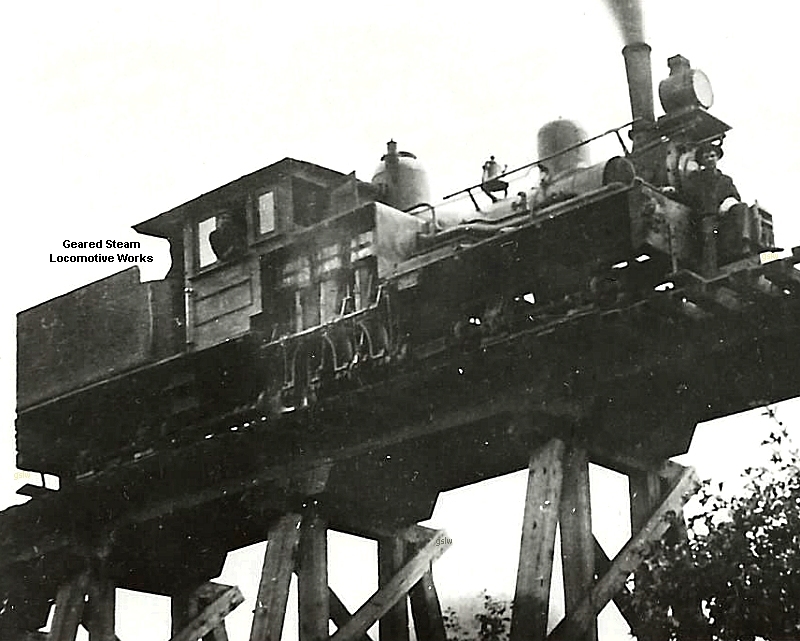 The locomotive had a "boot" boiler and is running on wood rails in the photo.